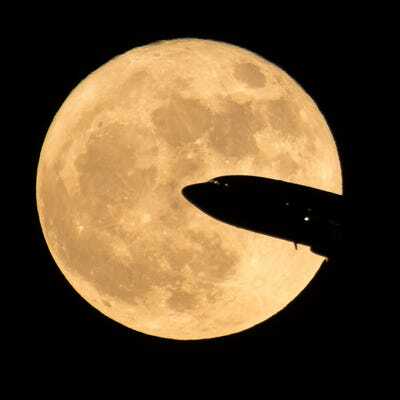 Bill Ingalls / NASAAn aircraft taking off from Ronald Reagan National Airport is seen passing in front of the moon as it rises on December 3, 2017 in Washington, DC. This Supermoon didn’t just light up the night skies, it also ignited tempers online, as astrophysicists argued the moon may not have been living up to its “super” name. 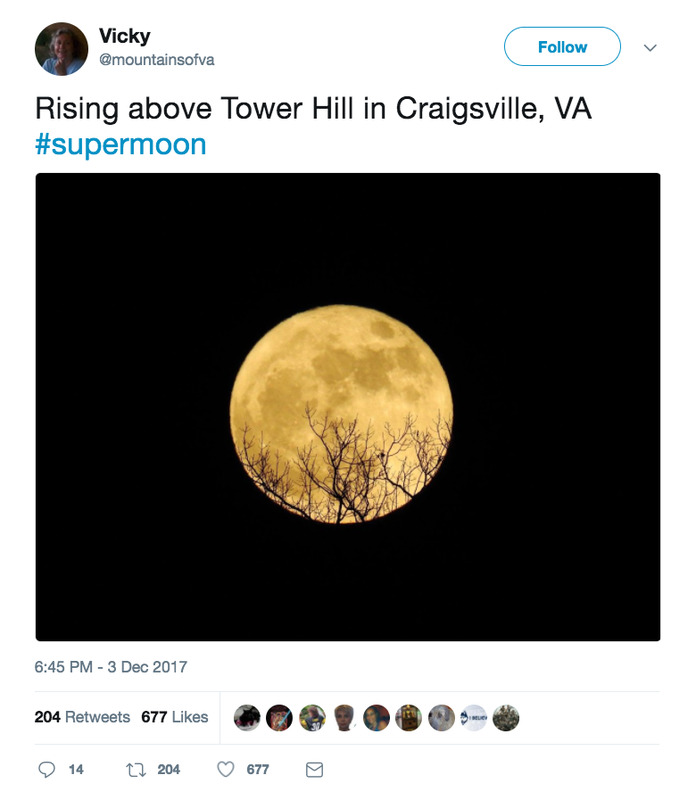 That didn’t stop photo buffs from stepping out to examine the night skies as the moon reached what’s called ‘perigee,’ or, the position on the elliptically-shaped lunar orbit when the moon comes closest to the Earth. And they weren’t disappointed by what they saw. 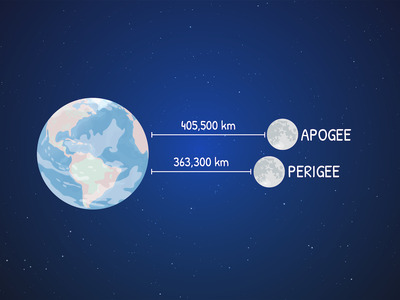 During a supermoon, technically called a ‘perigee syzygy,’ the moon can appear up to 30% brighter than usual. “We’re seeing all of the Earth’s sunrises and sunsets at that moment reflected from the surface of the Moon,” NASA scientist Sarah Noble said in a release. Bill Ingalls/NASAThe Moon rising over Washington, D.C. on December 3, 2017. 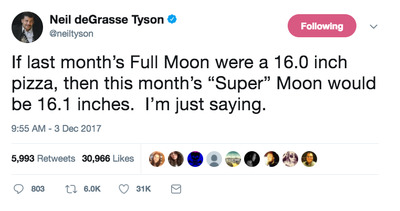 “The Supermoon sounds far more impressive than it actually is,” Faherty wrote Business Insider in an email, explaining that to an untrained eye, a Supermoon may appear no more “super,” as in, bigger or brighter, than a normal moon. 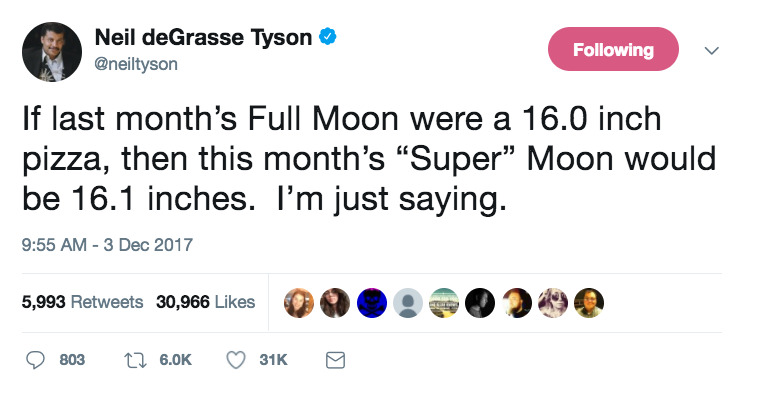 “If a 16.1 inch pizza is ‘super’ to you, compared with a 16.0 inch pizza, then we have an issue of vocabulary..:” Tyson wrote in a follow-up Tweet. Considering the moon is always more than 225,744 miles away, it’s not a major change.